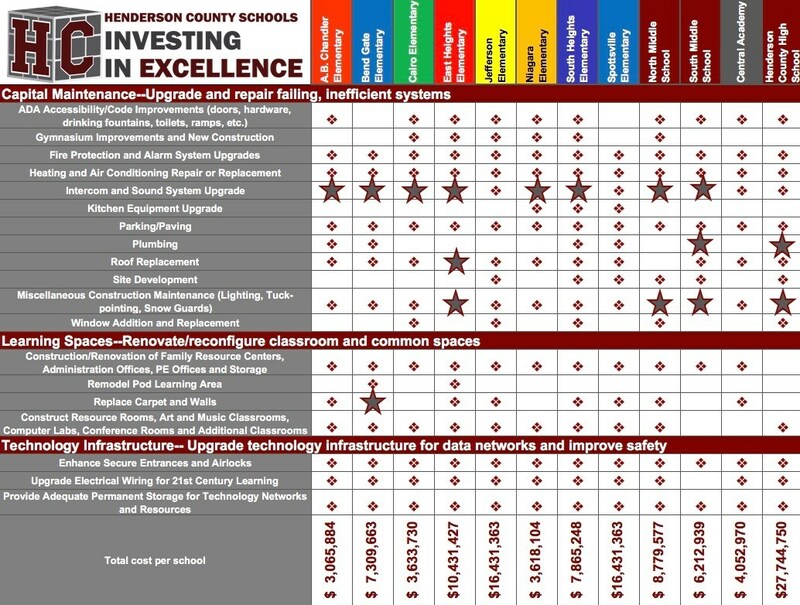 Thank you to the Henderson citizens who were willing to invest in excellence for Henderson County Schools. Our school district is well positioned to provide thoughtful planning into the use of the new nickel tax revenue. The administration’s recommendations and the Board’s decisions will be guided primarily by the Facility Plan. A Facility Plan is required and approved by the Kentucky Department of Education. Our current plan has already prioritized new construction and renovation projects.The Facility Planning Committee is composed of teachers, principals, district representation, community members, and parents. They are charged to present to the board the district’s facility plan which ranks priority needs. These needs are generated by engineers and architects and approved by the Kentucky Department of Education. 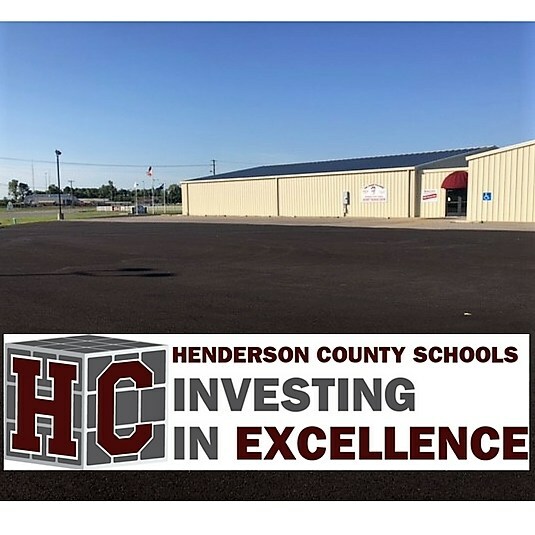 Thank you to the Henderson citizens who supported the nickel tax and were willing to invest in excellence for Henderson County Schools. 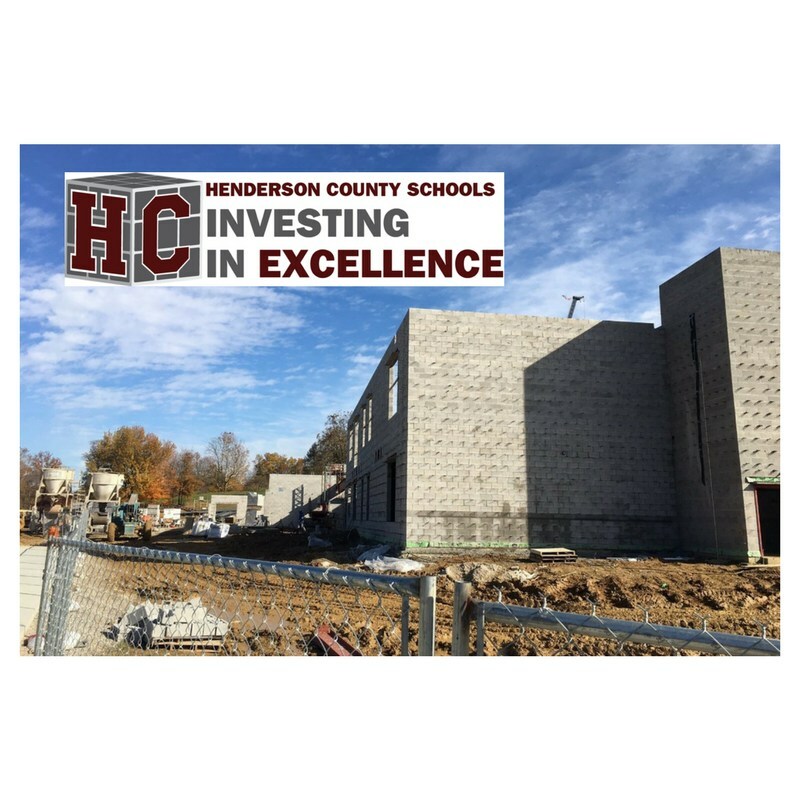 The Henderson County Board of Education approved spending $1.73 million in capital funding on Monday, April 10th, 2017 in a Board of Education work session. • East Heights: Roof repair for the building. Paving the car and bus rider lanes. • South Middle: Resurface the track and install LED lighting in the school. • North Middle: Repair the gym's wooden bleachers and install LED lighting. • Chandler: New heating and air conditioning unit. • Bend Gate: Replace pavement in the car rider line and the entryways along the bus lane. • Archery building lot paving. • Transportation: Concrete and entryway paving. 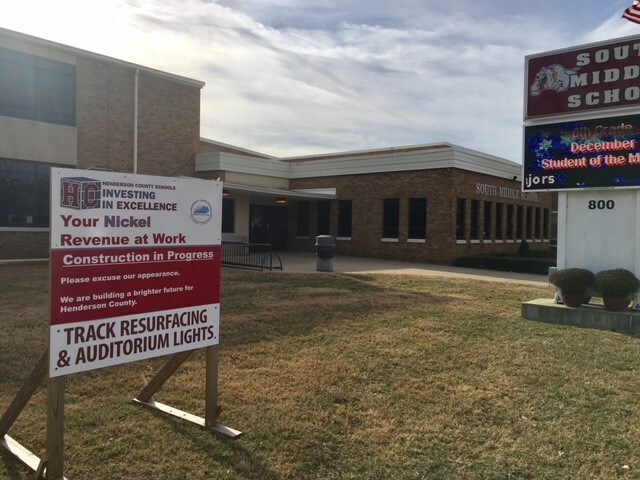 • Henderson County High: Resurface the tennis courts, replace the gym's sound system, enclose the attendance desk for increased security, and replace the media center flooring. • Install LED lighting at Cairo, Niagara and Chandler. Henderson County Schools has several energy efficient projects underway. The energy efficiency measures do have an up-front cost, a cost that is ultimately covered by energy bill savings. The money for the energy efficiency projects comes from reserved capital outlay that was generated through the nickel tax that was passed in November 2015.